The genie will be let out of the bottle again in May. Disney has released a new teaser for its upcoming live action version of Aladdin, giving viewers their first look at Will Smith as the Genie. The movie is an adaptation of the 1992 animated film of the same name, and is set to hit theaters on May 24, 2019. Check out the new special look teaser below! Dan Lin and Jonathan Eirich serve as producers. Meanwhile, Marc Platt and Kevin De La Noy are on board as executive producers. The score is written by Alan Menken, and will feature new recordings of the original songs written by Menken and lyricists Howard Ashman and Tim Rice from the original animated film, along with two new songs written by Menken, Benj Pasek, and Justin Paul. 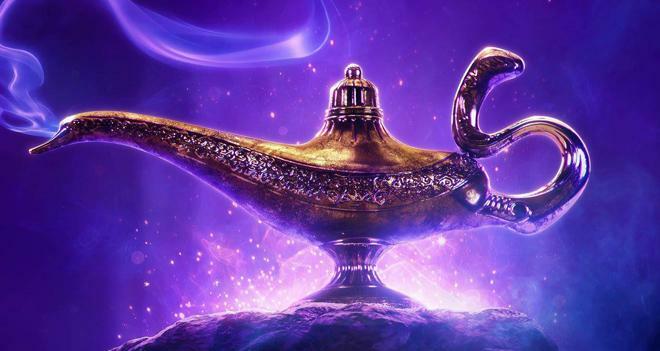 Aladdin joins a series of recent live-action adaptations based on classic Disney animated films, including Maleficent, Cinderella, The Jungle Book, and Beauty and the Beast. Other Disney re-imaginings in the works include Dumbo from director Tim Burton, The Lion King from director Jon Favreau, and Mulan from director Niki Caro.